You're enjoying your weekend after an exhausting week, walking in the great outdoors. But bad luck is about to hit you. You take an unfortunate tumble, and the awkward landing results in a broken leg. Work is a no-go given that you can't hobble to or sit comfortably at your desk. You're given time to recover, which is great. But what about illnesses we can't see? Mental ill health can be one of the most debilitating ailments and dangerously, can go undetected with tragic consequences. We have previously looked at strategies for coping with mental health at work, but what should HR professionals do to make sure their employees' mental health is taken care of? Part of the reason many struggle to understand mental health is that they don't know what it actually means. There are, to date, 200 classified forms of mental illness. More specifically, mental ill health is characterised by mild to severe disturbances in thought and behaviour, resulting in an inability to cope with the demands and routines experienced throughout life. The most commonly known forms of mental illness are depression and anxiety but there are plenty of others. Schizophrenia, bipolar disorder, obsessive-compulsive disorder (OCD), as well as eating and personality disorders are all forms of this and will drastically affect the way people go about their day-to-day job. In its most severe form, mental ill health can make it impossible for a sufferer to hold down a job at all. Time to Change say one in four people experience a mental health illness in any given year. Significant strides have been made through the masses of information available to HR that is provided by the Advisory, Council and Arbitration Service, (ACAS). Organisations like Mind and Time to Change are constantly battling to keep awareness of mental health issues at the forefront of the minds of not just employers, but people throughout the UK. Despite this, it would be foolhardy for companies to rest on their laurels. As Time to Change and Mind both say, one in four people experience a mental health illness in any given year. How prevalent it is as an issue for us all is put into stark terms by Time to Change who said: "We probably all work with someone experiencing a mental health problem." This displays in the clearest way that every organisation and person is affected by mental ill health because, just by association, the odds are you will know somebody who is suffering. Statistics vary depending on when and who carried out the research, but an article by HR professional Tania Angelis says that one in five people will suffer from mental illness at some point in their lives. Although potential causes are varied, Time to Change commented: "Worries about things like money, jobs and benefits can make it harder for people to cope." A company's HR must think about ensuring provisions are in place in time for a successful applicant's start date. It is natural that people will worry from time-to-time about work. Perhaps they were hoping for a promotion, or there are rumours of redundancy. Things like this could act as a trigger and set in motion a chain of events that cause mental illness. It is a complex and personal issue, and as such, it is something that HR staff have to understand completely and complicitly in order to not only see that somebody is struggling, but to know how to handle the issue sensitively and correctly. Undoubtedly, there are complex issues involved but it is the role of HR professionals to make sure that employees feel comfortable in their place of work and are made to feel part of the team even if their mental health is suffering. HR people are a crucial conduit between the staff and managers, helping the latter to effectively manage staff who are experiencing problems at work. Issues such as mental ill health and anxiety don't necessarily manifest themselves within work and could be caused by problems outside of the work environment. HR also have a responsibility to monitor this because their responsibility to your wellbeing doesn't start and end in your place of employment. One of the major stumbling blocks for many employees who are suffering from mental ill health is the stigma attached to admitting you are ill. It is an age-old problem and one that HR staff have to address. Just two years ago, an article in the Guardian reported a Friends of Life survey that said 40% of people from a variety of industries had mental health problems but kept them hidden from employers - half of the respondents thought disclosure would damage their career. Time to Change meanwhile, say 9 out of 10 people with mental health problems experience stigma and discrimination. Recently though, evidence suggests that mental health organisations are putting in concerted efforts to change this opinion. ACAS is a valuable HR source and the organisation teamed up with the NHS Mindful Employer Initiative to develop a training package and advisory booklet that promotes positive mental health at work. The document can be utilised by HR professionals because it helps employers "to identify those factors that they can control when it comes to mental health and those issues that they have no influence over." Issues like bereavement come under the latter category, but as such, HR staff can put coping strategies in place to help as much as possible. Documents like this also remove another roadblock: by having this knowledge, it means employers know more about the illness, therefore making it easier to talk about. HR representatives at companies will also be very aware of the Equality Act 2010 which legally protects people from discrimination in the workplace. Mental health illnesses are classed as disabilities because they can seriously impact an employee's capacity to do a job they are well capable of carrying out. Therefore, the HR at any company will use this and implement it so that employees feel secure in their employment and employers are taking the correct steps. It also should also help to erode stigma associated with mental ill health. Mental ill health can affect all aspects of the workplace. If members of staff are suffering, the knock-on effect is that employers are losing valuable working days from even more valuable employees. As it stands, mental illness represents up to 23% of the total burden of ill health in the UK, making it the largest single cause of illness. 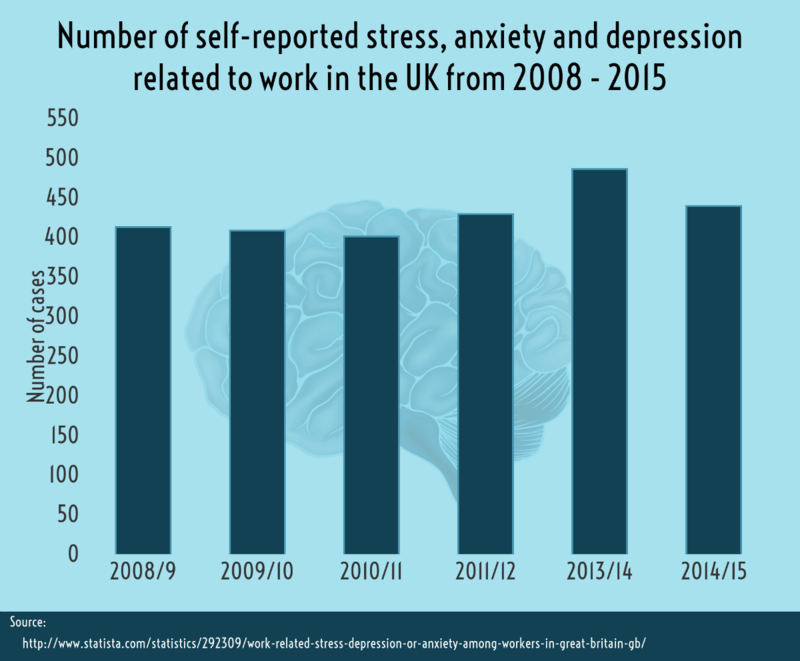 A Mental Health and Work document commissioned by the cross-government Health Work and Wellbeing Programme reviews health-related factors that influence working life in Great Britain. It states: "At any one time, one-sixth of the working age population of Great Britain experience symptoms associated with mental ill health," and are worried that their condition doesn't meet criteria for a mental disorder diagnosis. What is pertinent to employers, and their HR departments in particular, comes a few pages into the document when the sources of economic costs are revealed. There are obviously direct impacts to a company's economic costs through behavioural or other consequences of mental health problems, such as the ability to perform daily tasks. The other reason for spiralling costs is the response of the company's care systems to alleviate these mental health symptoms. Therefore, HR professionals have a pivotal role to play. Think extremely carefully about how you manage different demands inside and outside work, about recruitment, job design and the type of decisions people are asked to make in the business. Estimations regarding the costs of mental health absences to employers vary, but an article from HR Magazine back in September 2015 quotes a report from UK Chief Medical Officer Sally Davies which found "70 million working days are lost each year due to stress, depression and other mental health conditions. This costs the UK economy between £70 and £100 billion a year." 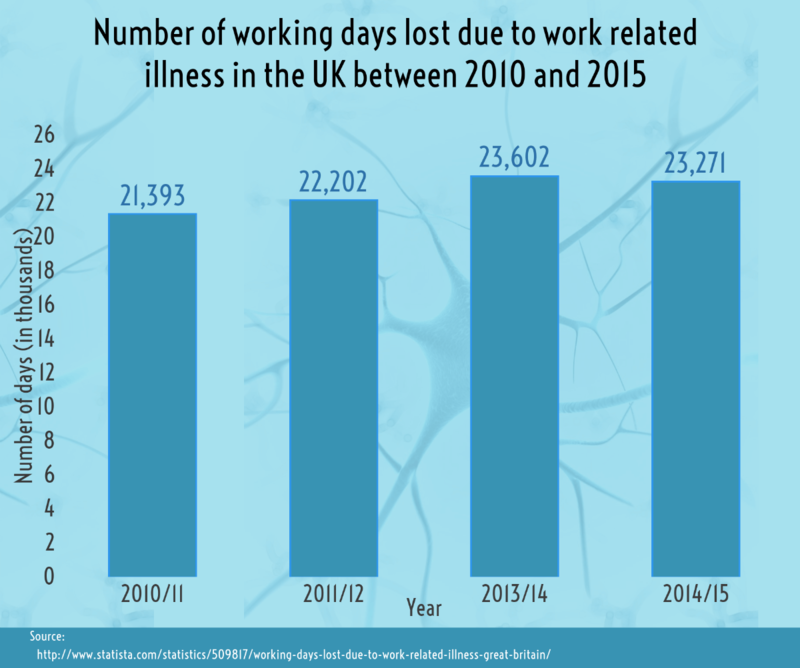 The Chartered Institute of Personnel and Development (CIPD) continues to raise awareness of mental health issues and in its Absence Management Survey last year, findings showed a rise in average levels of employee absence, with mental ill health amongst the most common causes of long-term absence. It echoes the "troubling trend" that has seen a climb in reported mental ill health every year since 2010. Dr Jill Miller is the CIPD's research advisor, and she suggested that HR professionals should think about how accessible their services are to prevent mental ill health. She said: "I thought we'd see reported mental health problems falling by now. Organisations might provide good wellbeing benefits, but employees might not know about them or be aware of how to access them. For HR, the question has to be whether wellbeing is part of your people approach or a bolt-on. Think creatively about how you manage different demands inside and outside work, about recruitment, job design and the type of decisions people are asked to make in the business." How should HR deal with mental health? What steps do HR professionals have to put in place for the recruitment process? As we have discussed, there have been historical concerns that speaking up about their own mental health issues mean discrimination will follow during the job application. But the tide may well be changing, contrary to other evidence. More people than ever before are seeing mental health issues as an illness just like any other, even more are comfortable talking to friends or family, while the percentage saying they would feel uncomfortable talking to their employer about mental health is actually decreasing. In addition, the Equality Act 2010 should give potential employees peace of mind when applying for a job. Even though the law protects employees, HR staff have a duty to make this explicitly clear so that potential employees don't hide a mental health problem through fear of discrimination. At the beginning of the recruitment stage, HR should say that adjustments will be made for disabled applicants, which includes any individual with mental health problems. These adjustments should also stretch to the ability to meet work schedules, something that will vary for candidates with mental ill health. When it comes to the interview phase, there's a reasonable chance that the candidate has not been through this process for some time. Therefore it is the duty of HR and the employer to make sure extra considerations are given. The environment has to be appropriate so that the candidate is in a position to best demonstrate his or her suitability for the job, while it should also be made aware to them that they can be accompanied to the interview and have extra time to take any ability tests. If it's understandable that candidates with mental ill health may not have had an interview for a while, it too is understandable that they may have gaps in their employment history. Once again, HR needs to make sure those in the interview are aware of this and it doesn't count against the candidate. The duty of HR professionals is laid out perfectly by the tackle mental health website which provides a very handy checklist that is superb for HR staff. It includes advice to avoid using general phrases about working under stressful conditions as well as warning against an emphasis on soft skills and personality traits. A company's HR must think about ensuring provisions are in place in time for the successful applicant's start date. Things like a safe place to store medication and giving the employee the option of flexitime will help to improve the wellbeing of a mental health sufferer. With any recruitment process, there will of course be concerns about whether or not the Equality Act is carried out to the letter of the law. Can we be sure that somebody with mental ill health will not be discriminated against? Sheenagh McCullagh has 15 years of expertise and is now Director of Empower HR - a leading outsourced HR company. She concedes that employers can hide any discrimination but most now take notes in the interview and any discrimination would be apparent. Crucially, Sheenagh told Agency Central that by accessing "data protection legislation," candidates can get hold of these notes. She said: "As part of a good recruitment procedure, it is important for interviewers to take notes from the interview. These notes should detail answers to questions, anything discussed at interview and scoring mechanism used to rate candidates against specification for the role. If there is any discrimination, it may be evident in the interviewer's notes. These notes can be accessed by interviewees through data protection legislation." Mental ill health is characterised by mild to severe disturbances in thought and behaviour, resulting in an inability to cope with the demands and routines experienced throughout life. The best way to avoid any ambiguity is to have a mental health policy in place. This will help HR people form a starting point as to the health of their employees, notice any changes and be ideally placed to respond to these. Such a strategy will see existing levels of mental ill health in the workplace, as well as those of individuals, recorded. By doing this, HR staff will have a good idea as to whether or not part of the organisation's structure is contributing to stress levels which could lead to more serious issues. Supporting those with mental health illnesses, the policy should, according to CIPD, include a "clear statement" to display the company's commitment and help can then be provided by constantly reviewing staff, make sure that employees know the support network is there, offer regular meetings, flexible hours, and easing back into work if somebody is returning to the company following a period of absence. It is critical that HR creates an environment where employees feel that they can talk about these matters. Similarly, the employer should not feel they are being intrusive when investigating any potential illness. Reviewing any behavioural changes or falls in achieving key performance indicators can also provide clues as to the health of employees. Again, this should all be laid out in the company's policy. HR should liaise with line managers who, crucially, have to be trained so that they can spot early warning signs of any issues that could manifest as mental health issues. By doing this, management will be able to effectively communicate with employees to manage mental health and other stress-related problems in the correct way. It is not an uncommon approach, Sheenagh McCullagh described to Agency Central. She described the actions she took at her last company to safeguard the health of employees: "I developed a policy on employee resilience and as part of this, I initiated a mental health and wellbeing programme." This programme includes educating staff members about mental health and the perils of stress, information about diet and exercise, various exercise programmes and weight loss initiatives, and encouraging open dialogue so that employees are comfortable about talking mental health, in the knowledge employers will support them. Sheenagh also told Agency Central of the many organisations who can help HR professionals formulate a strategy for their company. She said: "There are a few organisations that can help with formal training to identify mental health issues including VHI and charities such as Aware. It is my experience that they are more than willing to facilitate companies in proactively dealing with this subject and training managers and HR in dealing with mental health issues in the workplace, including strategies for facilitating staff back to work. These professionals are of huge benefit to companies who want to deal with this topic on a proactive level." The best way to avoid any ambiguity is to have a mental health policy in place. Just how important is HR and its functions when trying to combat mental health in the workplace? In short, it's fundamental. Employers now have a legal as well as moral responsibility to take care of employees, whose wellbeing is intrinsically linked to the performance of any company. The evidence shows that this responsibility is taken seriously and HR departments have all the help needed. Smaller organisations can call on huge resources like CIPD, ACAS and Aware for advice, and implementing effective policies will safeguard all levels of a company. By having the correct level of understanding during recruitment, monitoring and absence of employees, HR professionals will directly contribute to a decrease in the number of working days lost through mental ill health each year, they will cut cost to the employers, and most importantly, it will result in a content workforce.